Sports play an important role in life for staying fit and healthy. Playing sports develop a sense of friendliness among the children as well as team spirit. Children should be taught some sort of physical activities or sports at a very early age in order to develop a healthy body and lifestyle. One such sport is Martial Arts. It can not only keep you fit and healthy but it is also useful for self-defense. In today’s world self-defense has become very necessary in order to safeguard ourselves from anti-social elements in society. When women feel they are not safe, martial art can come in handy for females to protect themselves. Generally, it was thought that martial art is a masculine practice but girls can equally practice a martial art and protect themselves. Widespread awareness is being spread all over the nation to make it necessary to learn Martial arts for girls. So, these are some points about why martial art is important for the girls. Martial art tends to increase stamina as tons of calories are burned every day by practicing this art form. It can be a life-changing experience for girls to learn the martial art as it empowers them with determination, self-confidence and a way for self-defense. Martial art is like a journey which never ends. In that case, one keeps on striving continuously to fully master the art and be the best version of oneself. This builds our physical and mental toughness as we keep on learning about the martial art. Learning martial arts helps you to lead a healthy and fit lifestyle. Due to regular exercising and various kinds of physical moves our body gets fit and into shape. It not only shape’s the body but also make us strong and active. 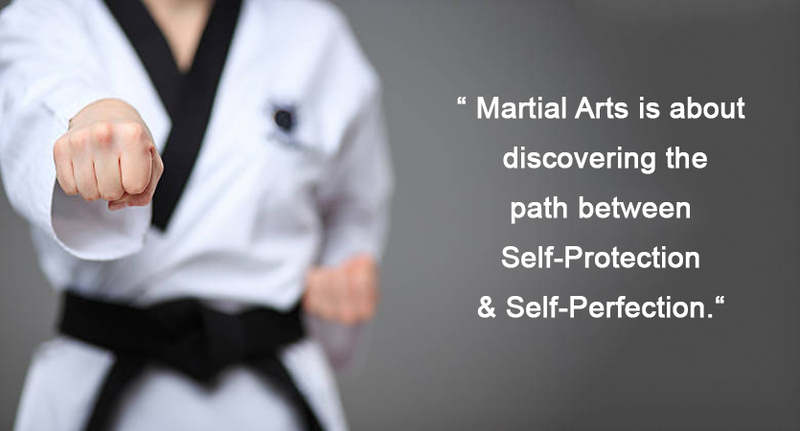 Martial art is used to defend as well as protect yourselves from any harm or difficult situations. It teaches us how to defend ourselves in worse situations like physical attacks or accidents. The posture of the body is maintained because of regular exercise and physical moves made by the body. This provides a psychological boost as a result, we feel far more independent and relax. One can have peace of mind when one is able to cope with harsh situations of life. Girls are considered weak in strength as compared to boys, so when girls are becoming capable of defending themselves and fending off the physical attacks. It changes the mindset of people and promotes gender equality between girls and boys. People have set up an image of women that they have weak strength and they have to leave under the protection of men. This belief should be abolished as Girls are also capable of defending themselves. Girls should be trained in a martial art so that they can give a stringent action back to her eve-teasers and also can walk shoulders to shoulders with men in the society. They should also be given training of martial art as they become more independent and self-confident.